Attention, Lifers!!! 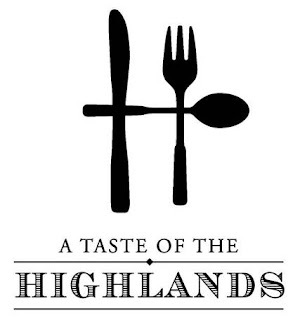 The 10th Annual Taste of the Highlands goes down TOMORROW at John Howell Park Park (at the corner of Virginia and Barnett St) and YOU need to be there!!! From 2-5pm (another short "taste" like the one in Alpharetta), thousands of local foodies will descend upon one of the most popular dining districts in the city to experience the best this neighborhood has to offer. If you don't have your tickets yet, you might wanna hurry up and scoop them ASAP. Word is, they're expecting to sell out on this event. And, with the 30+ restaurants that they have involved, I'm surprised it isn't sold out already. There are two participating restaurants in particular that I've been wanting to try - DBA Barbecue and Ecco. I'm thinking I may get my tix just to check these spots out. The full list of restaurants can be found here. If you decide to check this event out, let us know. Leave comments and reviews of it below. We'd love to see pictures too. Til we eat again, enjoy your weekend!